A company spokesman said: “We had no idea that this advert would be so effective, especially after a recent advert for vegan sausage rolls failed so spectacularly to provoke angry middle-aged men. Women, meanwhile, enjoyed the brief interruption in the non-stop flow of adverts telling them they are too fat, shiny, frizzy, spotty, frumpy, slutty, boring, loud, overworked or lazy. BRITAIN has agreed that Theresa May’s humiliating defeat is undeniable evidence of karma. Millions of people rejected the idea that the defeat was due to a flawed Brexit deal and a deeply divided party, insisting it was simply the spiritual law of the universe. 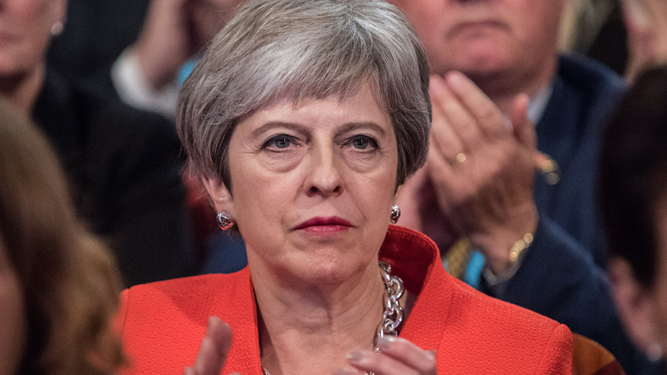 Meanwhile, any brief pangs of sympathy for the beleaguered prime minister quickly disappeared when voters remembered who she is and what she is like.